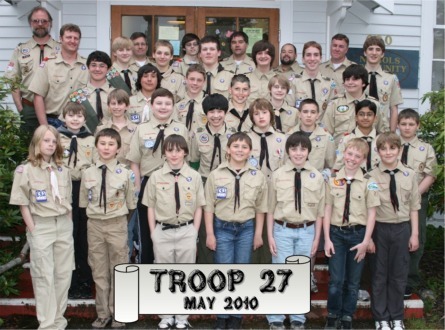 Troop 27 was formed in November 2007, sponsored by the Fox Island Community and Recreation Association. 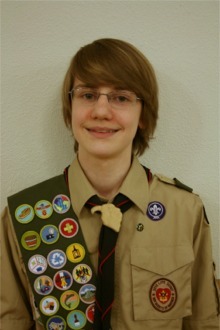 We now have 18 boys aged 10 1/2 to 15 years old, in three patrols. 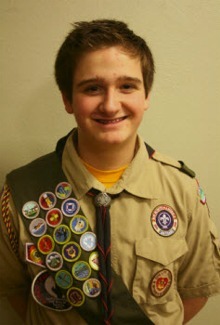 We are a "High Adventure" unit, committed to doing at least one outdoor adventure every month. 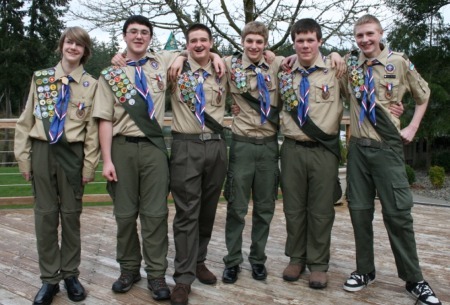 The Troop was voted 'Troop of the Year' in the Tacoma/Gig Harbor area in 2008, and we have earned the Centennial Quality Unit Award the past 2 years in a row; for excellence in program, advancement, youth retention and trained leadership. 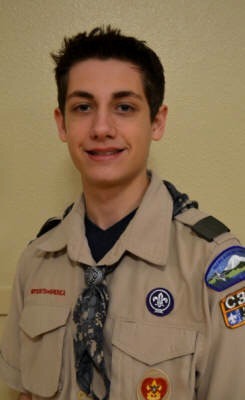 We have 3 Assistant Scoutmasters and six additional Committee Members in our troop leadership. 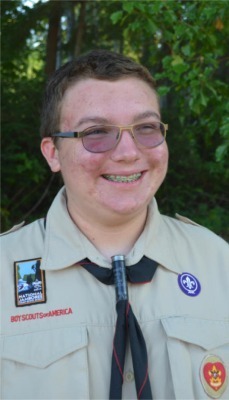 Founding Scoutmaster John Ohlson was named 'Scoutmaster of the Year' in 2008, and is the recipient of the Silver Beaver Award. 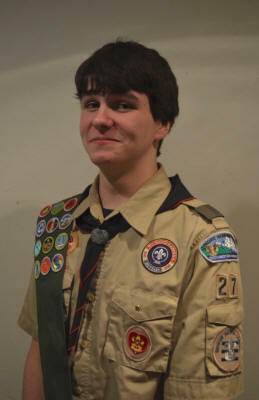 In November, 2010, Venture Crew 27 was formed, for older boys and girls, ages 14 - 21 years old. 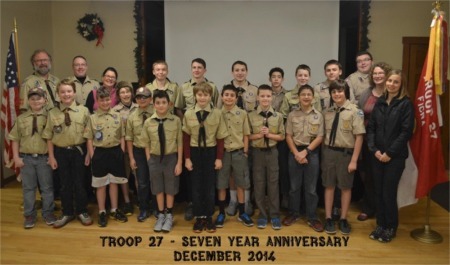 Troop 27 on the 7th anniversary meeting in December, 2014. 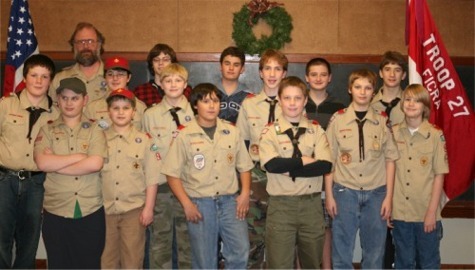 Troop 27 and Crew 27 on the 5th anniversary meeting in December, 2012. 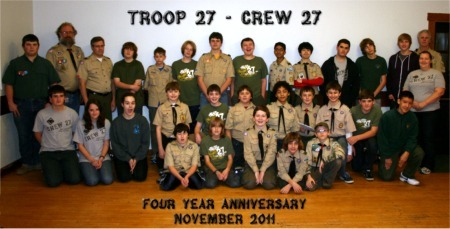 Troop 27 and Crew 27 on the 4th anniversary meeting. 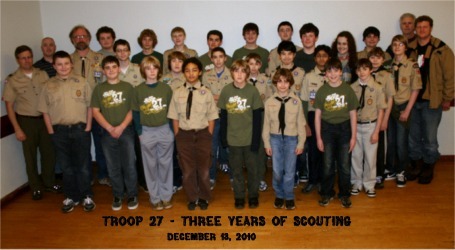 Members of Troop 27 celebrate our third year of Scouting! 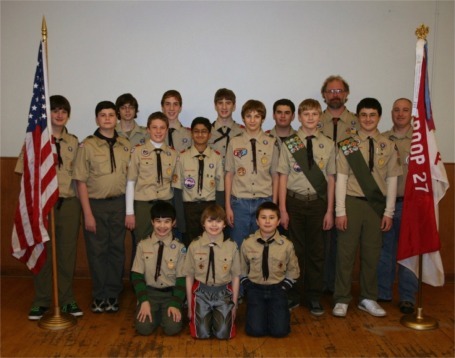 April 2010 - A new group of Webelos joined us from Packs 282 and 264. 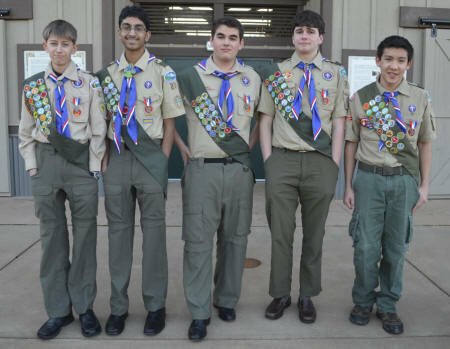 Troop 27 was named Thunderbird District Troop of the Year for 2008. 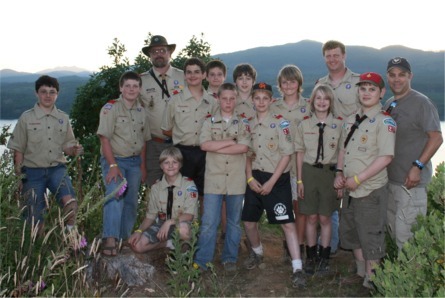 Attendees of the first Troop summer camp at Camp Hahobas, 2008. 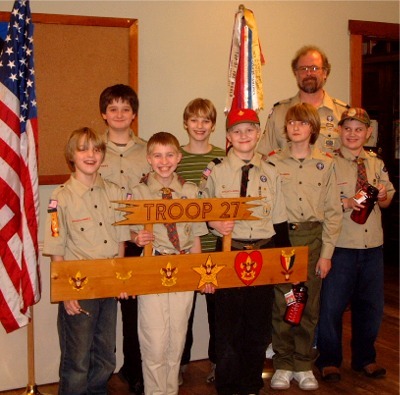 Troop 27's Charter Members at the first Troop meeting, December 11, 2007.
on the formation of BSA Troop 27 on November 29, 2007. 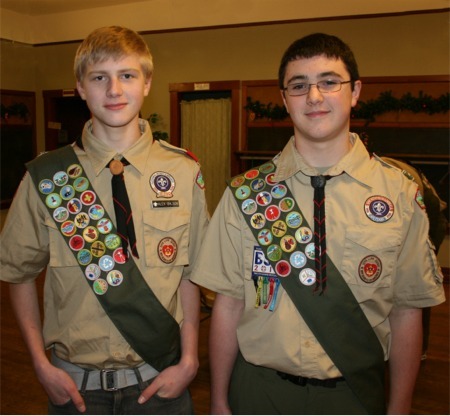 New Eagle Scouts Alex Ohlson and Jesse Long pass their Eagle Scout board of review on December 16, 2010, becoming the first two Eagle Scouts from Troop 27. 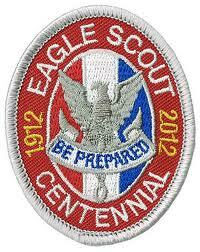 They both received the 2010 Centennial Edition of the Eagle Badge, celebrating the 100th year of Scouting in America. 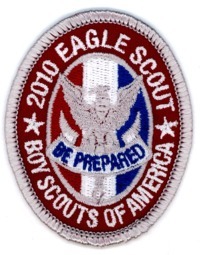 All Eagle Scouts who earned the rank in 2010 received this special centennial edition of the badge. 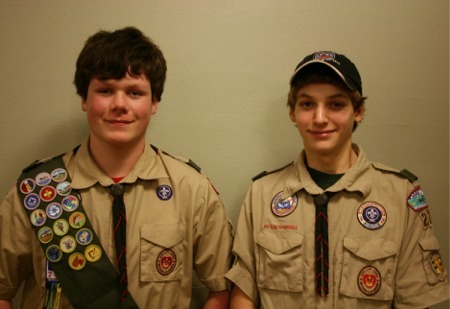 December 21, 2010, becoming the third and fourth Eagle Scouts from Troop 27. 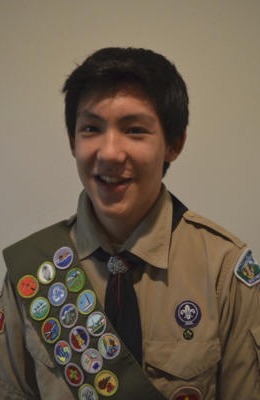 April 16, 2012. 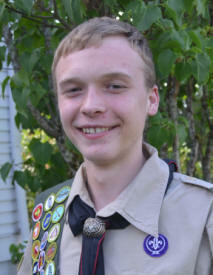 He is the first Scout in Troop 27 to earn the Centennial Eagle Scout badge, marking the 100th anniversary of the Eagle Scout Award. 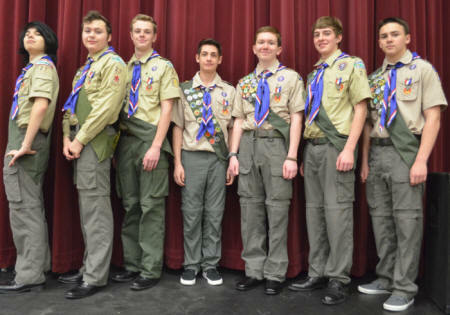 Spencer Godfrey, Nathan David, Colin Wilson, Cameron Allen and Sravan Konda completed their requirements for Eagle Scout in 2012, and were awarded the honor at a five-way Eagle Scout Court of Honor on March 9, 2013. 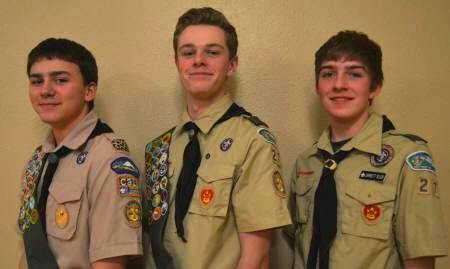 Daniel Crone, Ian Collins and Jarrett Siler all passed their Eagle Scout Boards of Review on January 22, 2015. 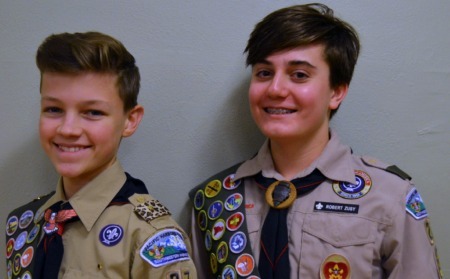 They are the last Scouts to complete their Eagle requirements in 2014. 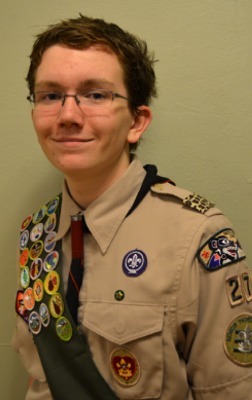 Mitchell Baltmiskis, Troop 27's 20th Eagle Scout, passed his board of review on February 18, 2015. 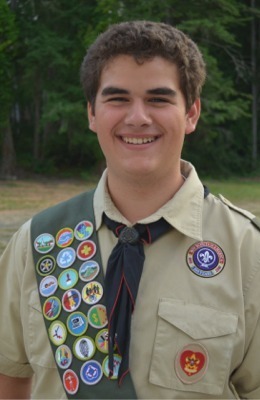 He is the first Scout in Troop 27 to complete his Eagle Scout requirements in 2015, and the last Scout to reach the rank of Eagle under the direction of Scoutmaster John Ohlson. 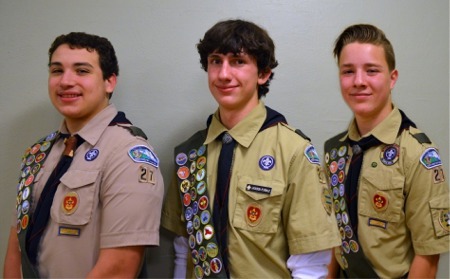 Brenden Rivera, Jackson Plymale and Everett Ruuska became Eagle Scouts 23 through 25 on November 15, 2016. 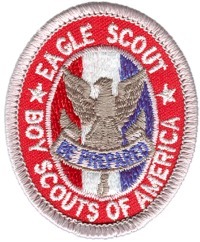 Congratulations Eagles! 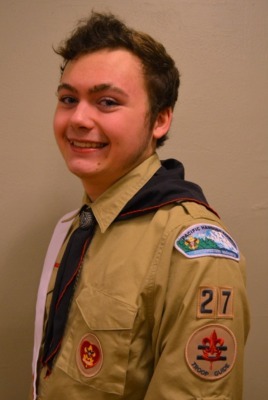 Aidan Toney and Robert Zusy became Eagle Scouts 26 and 27 on January 4, 2017. Congratulations Eagles! Don't miss out on all the fun! 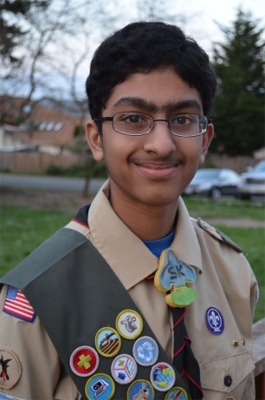 If you would like to learn more about joining Troop 27, please Contact Us and come visit one of our meetings. 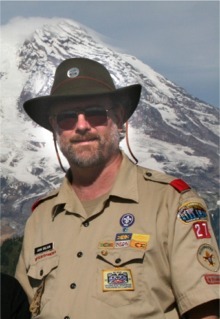 Troop 27 Founder John Ohlson, Awarded "Scoutmaster of the Year" for 2008. 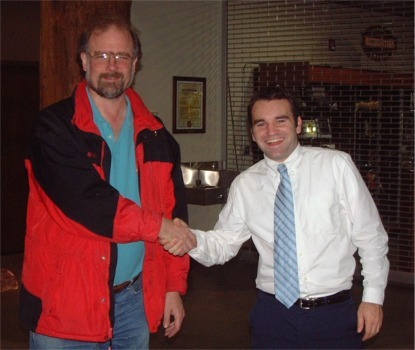 "Troop of the Year" in 2008. 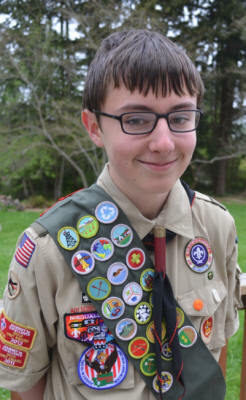 "To have a fun, exciting Troop that goes on regular high-adventure outings, supports the advancement of its members and leaders, and is a high-quality organization that boys want to be a part of." 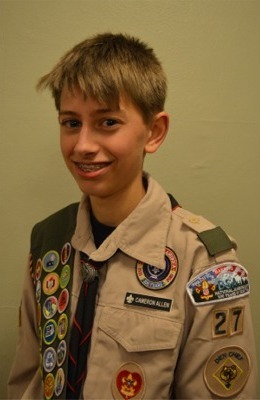 Invite a friend to join Troop 27 and earn this cool recruiter patch if they join!